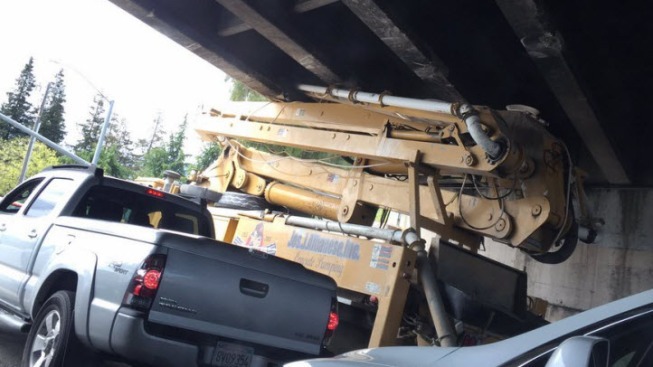 A truck on Tuesday struck an overcrossing on Highway 237 in Sunnyvale, according to the California Highway Patrol. The CHP was forced to close North Mathilda Avenue to westbound traffic because of the accident, according to officer Ross Lee. The overcrossing may be compromised, Lee added. Caltrans crews are en route to the scene, officers said. All lanes were reopened by 1 p.m., officers said.